Join us at the Celtic Manor’s exclusive Wedding Showcase on Sunday 10th February. 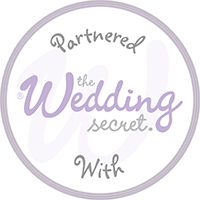 Whether you are at the beginning of your wedding planning journey or down to finalising all the little details that will make your day extra special, this is an event you won’t want to miss! Hosted in the luxurious surroundings of the Celtic Manor is an exclusive wedding showcase like no other, filled with lots of amazing suppliers across the industry on hand to help make your big day unforgettable. We’ll be exhibiting lots of our beautiful gowns both on and off the catwalk between 10:30am - 4pm. Pop by and say hello.